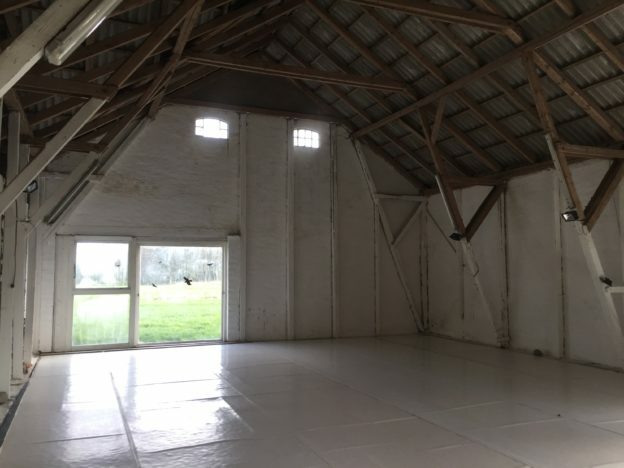 This is the beautiful white rehearsal studio with 160 sq meters of dancefloor. Suitable for work during summer time only. The rent is DKK 5000 / Euro 675 excl. VAT for one week – including lodging for up to 4 persons in the main building.